It’s dubbed ‘the most endangered mammal you’ve probably never heard of’, but with World Pangolin Day reaching its seventh anniversary tomorrow (17 February) it’s increasingly clear that this shy creature deserves far better. 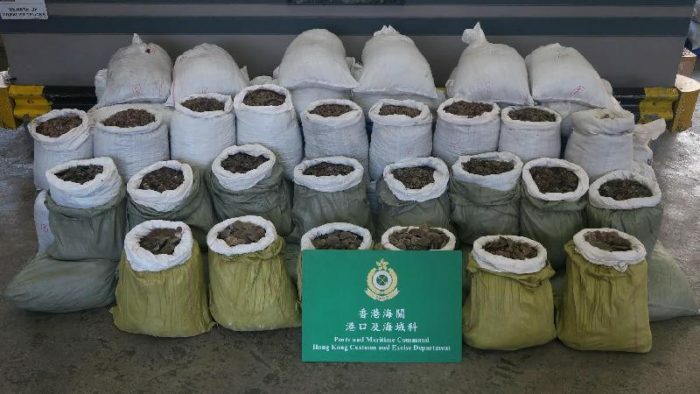 The main threat they face is hunting for trade in Asia where pangolin meat is prized as an expensive, high-status delicacy and its scales – composed of keratin, the same protein that forms human fingernails – are used in traditional Asian ‘medicine’. There are eight species of pangolin, four each in Africa and Asia, and all are currently deemed to be at risk of extinction. We have been raising awareness about the threats faced by pangolins for a decade now while this remarkable, armoured ant-eater has tragically become the world’s most trafficked mammal. In that time, we’ve continued our efforts to push transnational illegal pangolin trade into sharper focus and have literally put them on the map, gathering and organising data of illegal trade seizures around the world into an interactive open resource which has been used by fellow NGOs and enforcement alike to get a clearer picture of the scale and nature of the trade. 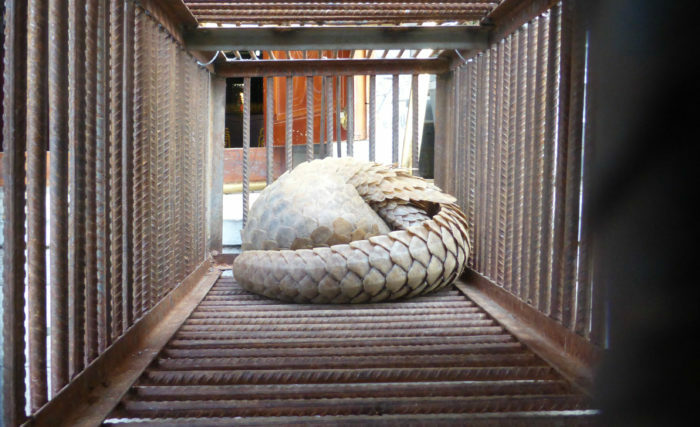 Investigations run by our Elephant and Tiger campaigns continue to generate vital information on the pangolin trade, most recently in the landmark ivory smuggling syndicate exposé The Shuidong Connection (pages 5, 17), highlighting how the criminal networks involved are trafficking multiple species. Information on these criminal networks is collated, analysed and shared by us with law enforcement. The work is ongoing. 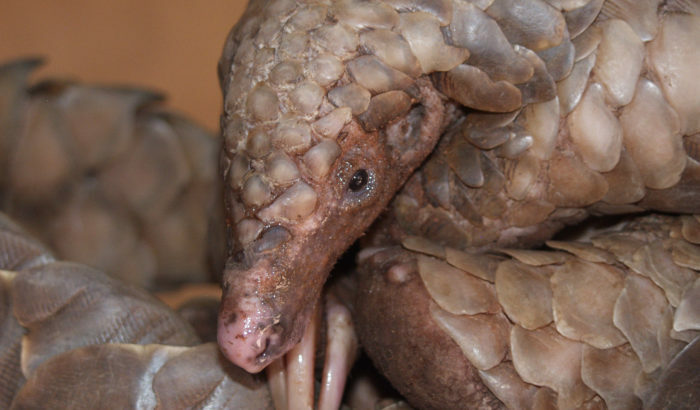 We are currently looking to secure funding to allow us to track specific pangolin trade networks, reinvigorate our efforts to map the pangolin trade and boost our efforts to campaign for an end to the use of pangolin scales and meat. Threats to the survival of the pangolin are unlikely to disappear any time soon; as recently as the 69th meeting of the CITES Standing Committee in Geneva last year, we were deeply disappointed to see China bullishly going against the express wishes of the CITES community by seeking to undermine the 2016 ban on international commercial trade in all pangolin species. With the London Conference on Illegal Wildlife Trade scheduled for October this year, we will be reviewing efforts in key countries to fight the criminality and corruption driving illegal trade.